Maybe you've checked your email lately and found an unsolicited message from someone with great news: you qualify for a loan and they can help you secure it. "Wow," you might think to yourself. "And here I thought banks weren't making loans unless you had perfect credit. And here's someone offering me cash without even checking my credit score." Maybe that should be a tip off. These unsolicited loan offers aren't real. If you respond, you'll probably find that some money has to change hands first. 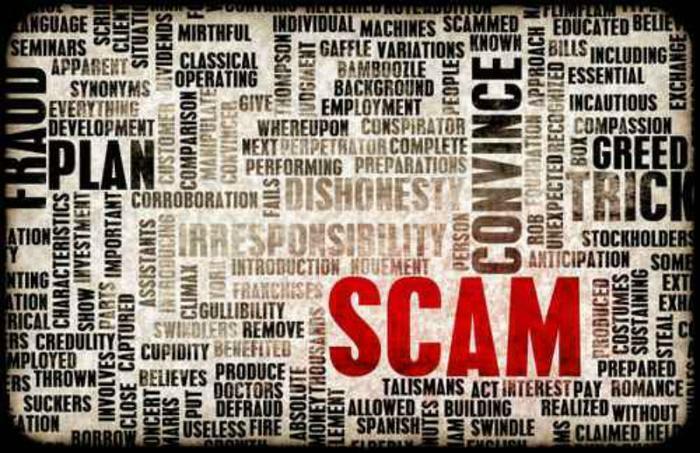 The Federal Trade Commission (FTC) cautions consumers not to fall for these pitches that often turn out to be advance fee loan schemes. Be especially leery if the lender offers guarantees. “Legitimate lenders never 'guarantee' or say that you are likely to get a loan or a credit card before you apply, especially if you have bad credit, no credit, or a bankruptcy,” the agency warns. Among the red flags to watch for is a lender who doesn't seem concerned about your credit history. As the FTC says, a lender may offer loans or credit cards for many purposes — for example, so you can start a business or consolidate your bills. But one who doesn’t care about your credit record should worry you. States are constantly monitoring this kind of activity, and other pitches that may cross the line. Florida Attorney General Pam Bondi says her office has gone to court to get a temporary injunction shutting down what she calls “a loan scheme” that allegedly charged consumers fees anywhere from $500 to more than $1,000 for loan referral services. Her complaint notes that most of the consumers targeted for this pitch were strapped for cash and could easily perform the services on their own for free. According to Bondi, the companies misled consumers to believe that the loans were guaranteed, the upfront fees were only processing fees, and if the defendants did not obtain loans for the consumers, the defendants would refund any fees charged. The companies allegedly used consumers' bank information to withdraw money without permission. In all, more than 200 consumers lodged complaints against the defendants with the Florida Attorney General’s Office. Remember, a legitimate lender will want to review your credit score and report before entering into a serious discussion about a loan. If you have a spotty credit record, you may be offering a subprime loan with unattractive terms. A word of caution – such a loan might be worse than not getting a loan at all. Just ask all the people who lost their homes during the foreclosure crisis.